Something is lurking in the waters of Florida theme park Sea-World. On the eve of opening a new series of underwater tunnels for a whole new kind of close encounter with the deep, mysterious disappearances in the park's water exhibits prompt Michael Brody, son of Chief Brody of Amity island,m and Marine Biologist Kay Morgan to go exploring. When they find a baby Great White, they think they have the culprit, but determine to capture it alive and house it at the park. After the baby shark dies, however, Kay realizes the real culprit is many times bigger than the infant, and is still loose in the park. 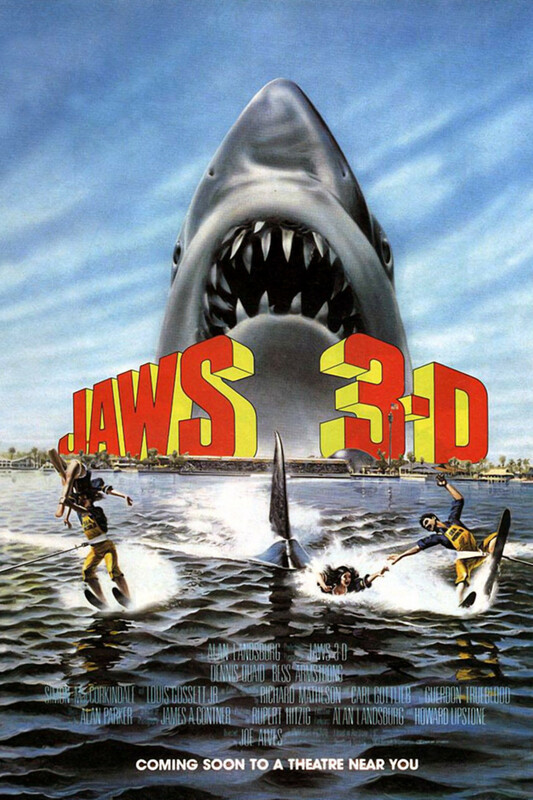 3-D elements add extra terror as Michael races to stop the killer fish.